Are there issues in your marriage that keep coming up and causing trouble? Maybe there’s a need to heal your inner child. 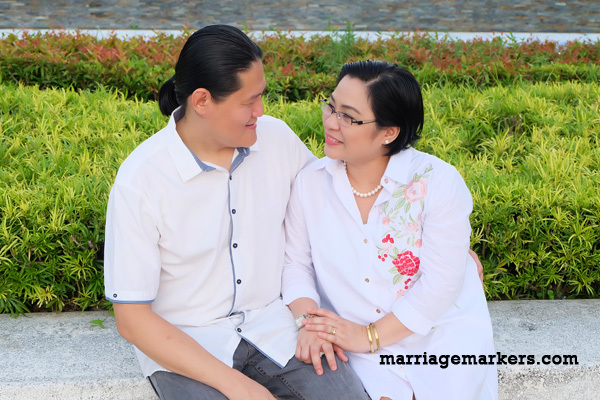 Dennis and I on the occasion of our 10th wedding anniversary — happiness is indeed a choice. A couple of months ago, my husband and I celebrated our 10th wedding anniversary. Many people look at us as a loving and devoted couple–to each other and most especially to the kids. Some say, our happy marriage is picture perfect. But life hasn’t always been this way. When we started dating, we were plagued with problems and destructive verbal fights, mostly because of personality differences, mood swings, and unmet expectations. The dating period extended to more than seven years, primarily because we both doubted if the flow of our relationship would be a justifiable basis for marriage. Eventually, we overcame, got better at handling situations, and got married. Things were still not easy though. While we are totally devoted and loyal, no question, personality differences and exploding tempers continue to get in the way. I know for a fact that most of the time, I start the fights with my moodiness, which my husband cannot tolerate. Other than that, he is pretty peaceful and accepting. Anyway, in recent years, I just decided that enough is enough. I am just the only one becoming more miserable with my drama. My expectations are too steep and mostly unreasonable. And to make it worse, I am affecting my husband and our home in ways that are not fair to him anymore. I am not sure whether the turning point is dramatic, but I slowly found myself letting go, surrendering, becoming more accepting as the days went by. I realized that I don’t have to give in to my emotions. I chose not to let my emotions control me — in my decision making and the words that I say. 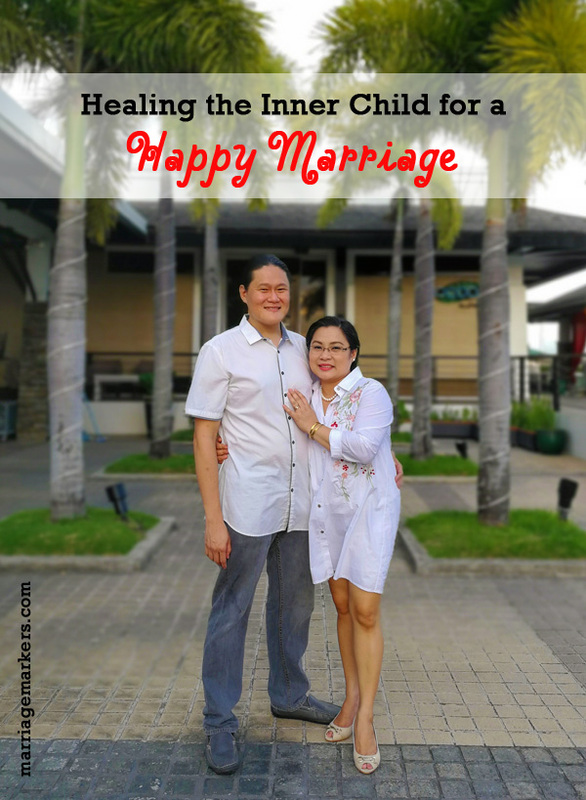 Healing the Inner child for a happier marriage has certainly worked for me. More recently, however, blame it on getting older I guess or maybe much prayer, I came to realize the issue of the inner child. This is the little person within me that is seeking answers to the issues from my childhood. While I cannot yet let out here what happened to me back then, all I know is that realizing these issues of my past positively affected my present. I have come to realize that many of my adult issues stemmed from some things from my childhood that were not resolved. I brought them into our marriage and these are affecting my reactions to things–even mood triggers. When I came to identify them and the people who have caused them, I prayed–a lot. Then I talked to key people who helped me in praying for this aspect–friends I can trust. On hindsight and writing about it now, it seems easy, but when I was transitioning it was not. Just imagine, there was a child inside this middle-aged body screaming for attention. Her needs needed to be met. But by the grace of God, I came to this realization and was able to deal with the issues from where they came from. I realized now, too, that I have a choice. I am a well-functioning adult who can make decisions for herself. My inner child doesn’t have to reign over me. A lot of couples go through marital counseling or pre-wedding counseling. But most of it is dedicated to preparing ourselves for what is to come. These sessions are forward thinking–not historical. What I have come to realize is, there is a need to look back to our past. We are humans and we have imperfections. But many of these issues are not new–they just come in newer forms. The root causes are our hang ups in our childhood that had not been dealt with. While some get over them pretty well, there are those who repress these issues–like me. If you are a marriage counselor reading this, I encourage you to include this topic in your sessions so that the people going into marriage will start fresh and free from childhood hang ups. I am still under construction (which is why I only realized about my inner child right now) but I certainly feel so much better know. I am in a much better place. God may not be finished with me yet, but a journey always starts somewhere. And the key to it is to keep going. One does not reach a destination by dwelling on one place. We keep going. When you get lost, you ask for directions. Don’t give up. Keep going. To quote Dory, “Just keep swimming!” The realization and acceptance that I am under construction, helps me realize and accept that others are under construction, too. Life is not always rosy or perfect and I still get mad, but it’s seldom and no longer to the point of self-destructing. I thank God for His grace and for friends who helped me in this journey. And most especially, thank you to my husband who never gave up on me. I hope you are blessed by this sharing. How about you? What’s your story? I’ve watched this movie with title Under the Tuscan Sun, and one lady in that movie says “Never lose your inner childhood. It is your way to your happiness” and it’s true! Our inner child makes us more creative, and imaginative. And makes us dream more. Growing up may seemed more about soul-sucking responsibility and drudgery than joy and often we need to rediscover our inner child! This is a helpful insight for married couples. I must say, it takes a lot of courage to admit the side of you that needs improvement in order to have peace and to get a long with your partner. 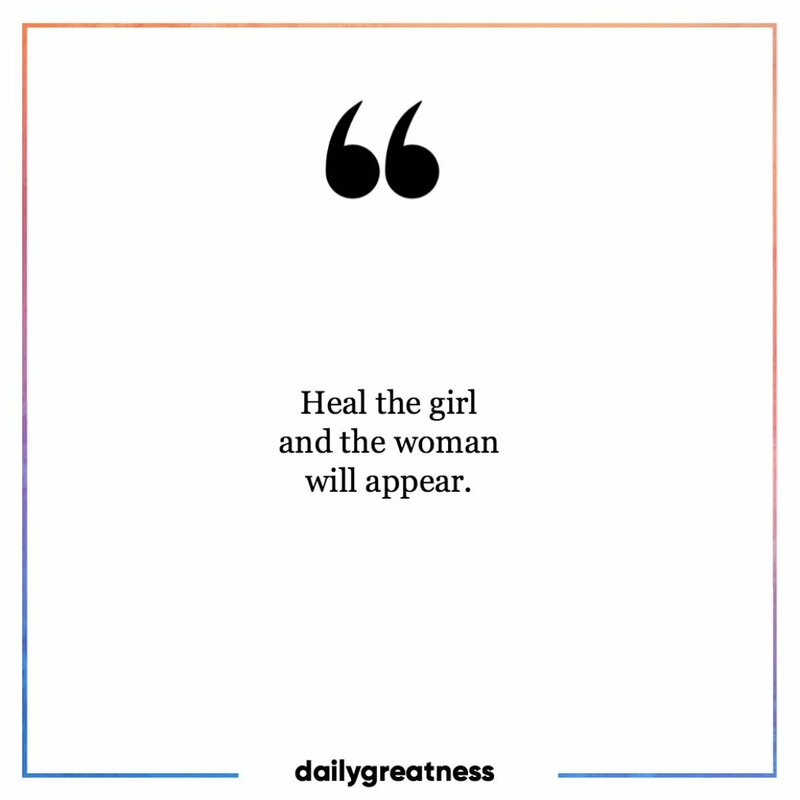 I like this line: “Heal the girl and the woman will appear.” This is such a beutiful realization for all of us. In order to live a happy and worry-free life, we must learn to face our inner child. Conversing with our inner child will lead us to the right path. I believe I have healed the inner child in me. We’ve surpassed a great ordeal in our marriage and we’re happy with the outcome. I believe that there is no such thing as perfect marriage but you can be happy despite the challenges in life. We’ve been married for 11 years and until now, I consider myself as a work in progress because there is so much thing to learn about marriage and family. I think need ko ng healing. Lagi akong galit , galit sa mundo and sa husband ko of 13 years. I need this. Thank you for sharing. Thank you for sharing and for the wonderful insights. Looking back at my childhood, I was carefree and very much secure that I didn’t think I have anything to be healed. My inner child is happy :). We usually talk and share our issues that way, we both come up with solution. For us communication works best especially that we both working and our schedules varies. We always have a lunch date. I think most of us need to deal with our inner demons as a child so that our relationships won’t be affected. I’m glad that you guys sorted this out and now things are better. Only a few could ever do it and it took me a long time to deal with my issues. I think I still am processing things. Previous Previous post: Honey, I Shrunk the Wedding Ring!